Live Bacteria source, containing millions of live aerobic bacteria. 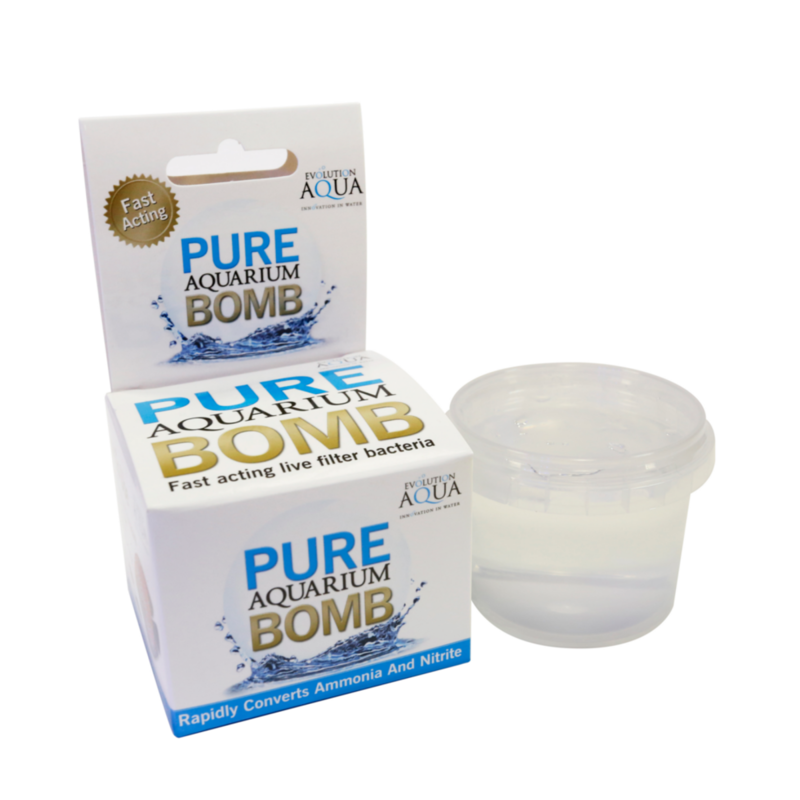 Evolution Aqua introduce the Aquarium Bomb, part of the Award Winning PURE range. 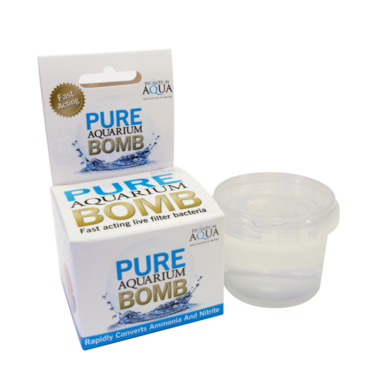 The bomb works well for new aquariums and filters. 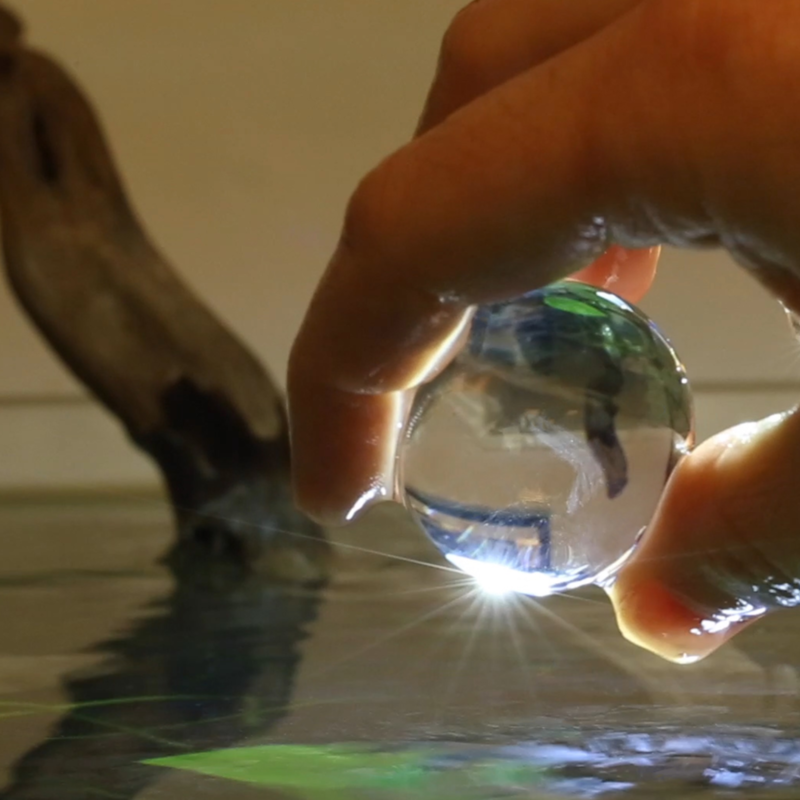 When placed in the water it instantly provides rapid nitrification to the developing environment, sterlie aquariums and filters making them ready to be stocked safely with fish. The bomb provides the live filter bacteria needed to mature the new filter quick. 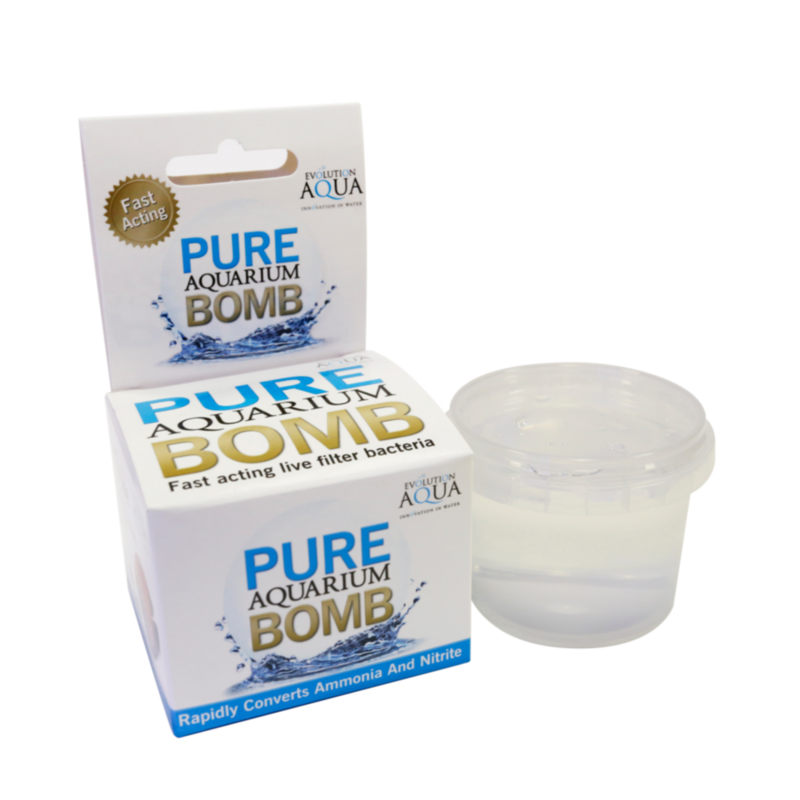 The bomb works to prevent and control any threatening levels of ammonia and nitrite, reducing the risk of "new tank syndrome"
The bomb can also be used for emergency treatment when water tests reveals a unbalanced mix of chemicals. This can be the result of beneficial bacteria being lost through cleaning under tap water, replacing mature and established media with new, when medication has been used in the water, increased fish numbers, uneaten food, dead or decaying fish or a build up of waste. All of these can cause the levels of ammonia and nitrite to rise. Adding this bomb to the water will quickly and easily work to repair the eco system. -Place bomb gently in the tank. 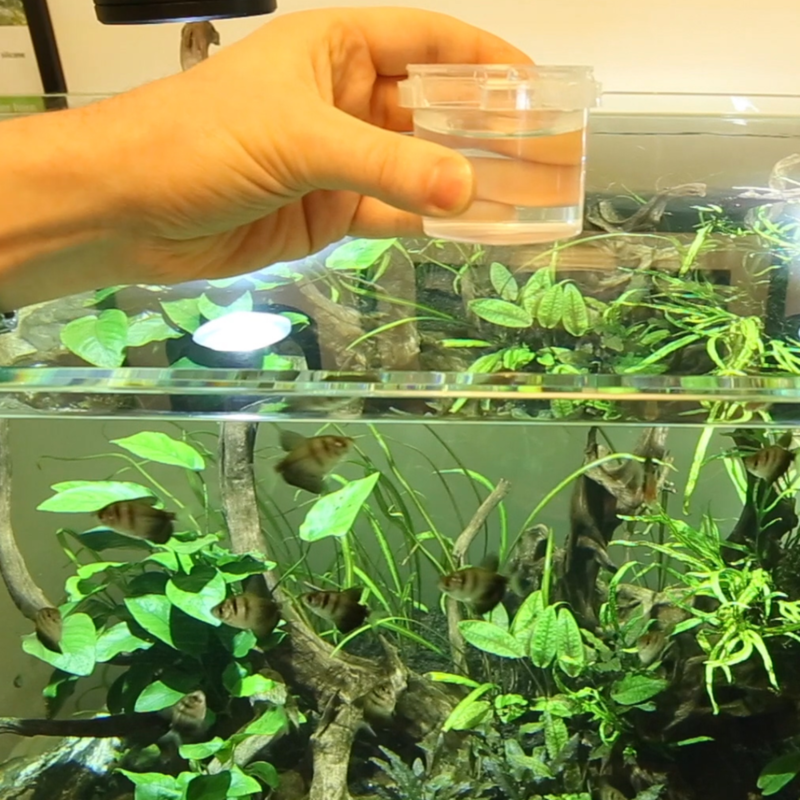 Please Note - ensure your tank has adequate aeration before using the treatment.